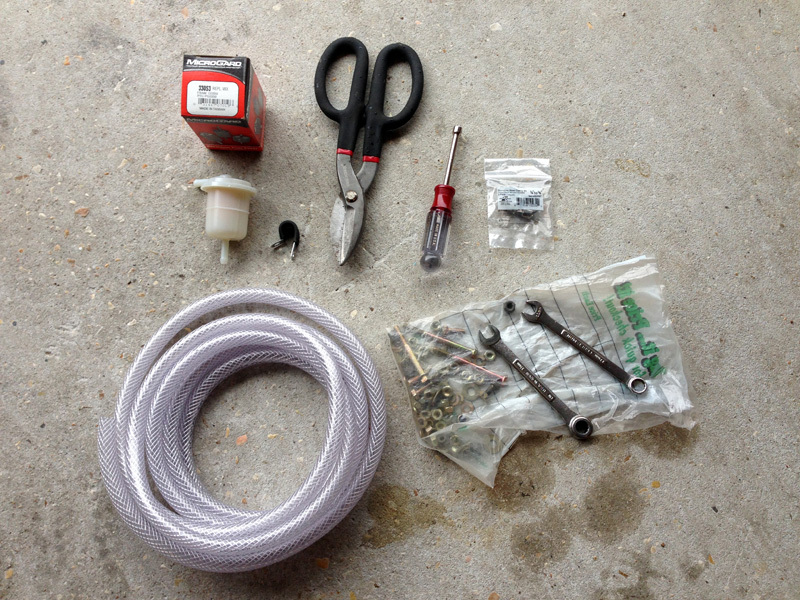 I tried my hand before at a DIY fording kit for my deuce back when it was mostly stock. Turns out the 1/4" OD tubing was too small for the vent system. 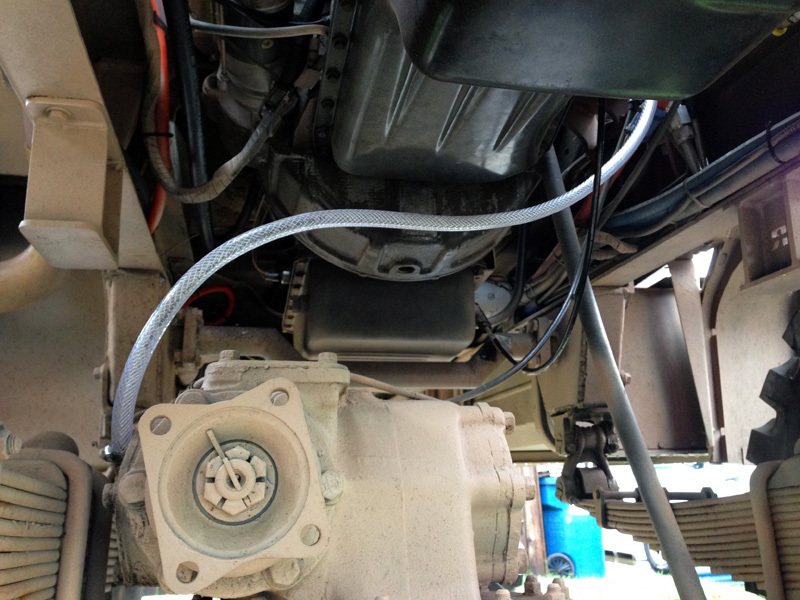 I ran those small lines from the axles, transfer case and transmission vent ports all the way to the factory deuce air box. This time I decided to leave the vents separate. 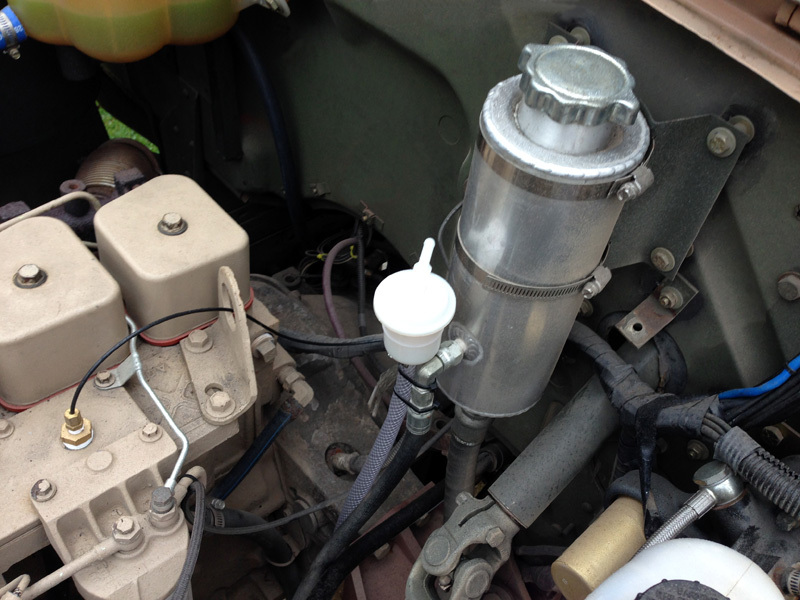 Click here to view the Transfer Case Breather that I completed on 10/17/15. Now it was time for both axles. 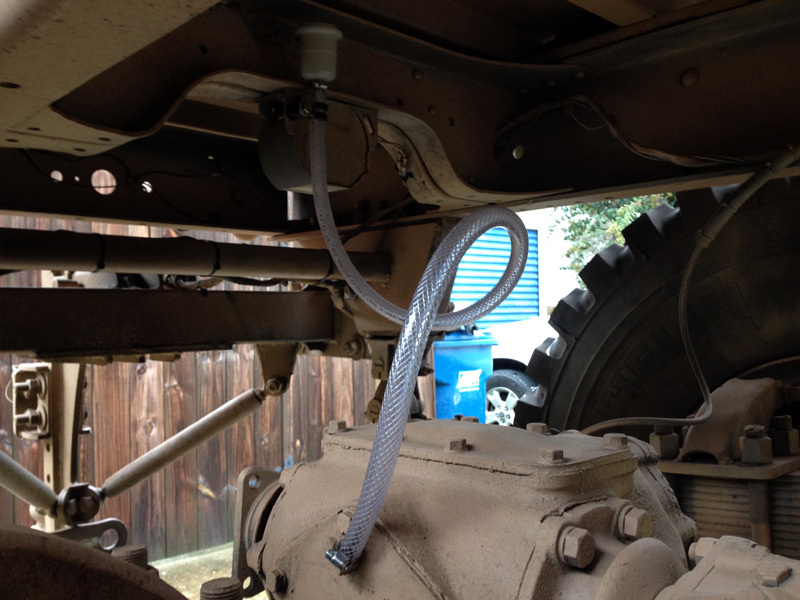 I used the same fuel filter for the highest point on each axle breather, but this time I opted for 3/8" braided tubing. 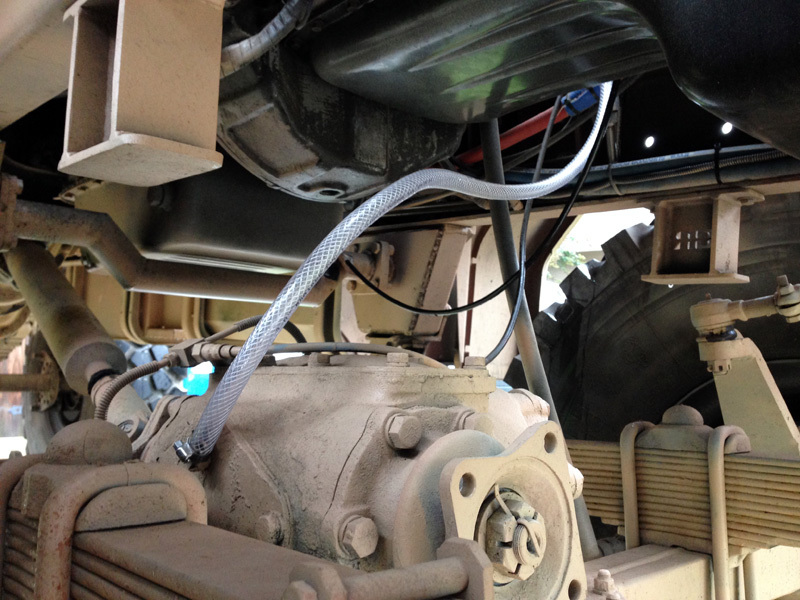 Make sure to leave enough slack for axle movement.